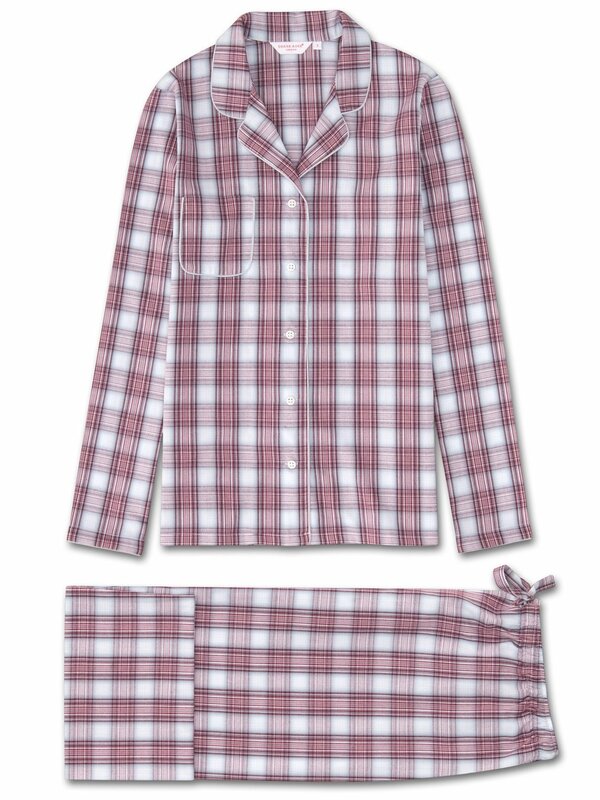 A classic check is updated into a fresh design with burgundy, pink and grey stripes that form into a checked pattern and ensure this pyjama will remain in your lounging wardrobe for years to come. Ideal for the cooler months, you'll want to jump into these pyjamas as soon as you get home. Made from a regular, mid-weight 100% cotton, the Ranga 34 fabric is brushed using a unique technique for unbelievable softness and warmth without being heavy or bulky.